What does jam-band bluegrass sound like? The idea is not at all ridiculous. Bluegrass music offers plenty of room for solos within certain limits. Remove those limits and you have your answer. And New Country Blues, the album, is one answer to what it sounds like. You see, Drew Emmitt, from Leftover Salmon, and Bill Nershi, from The String Cheese Incident, have wanted to do this for a while. The album sounds like two guys who got some friends together to have fun playing music. Bluegrass music is the foundation for what they do, but some of this music would probably annoy a bluegrass purist. I am not that purist. I can’t provide a technical explanation of what is or is not bluegrass; I can only tell you what I enjoy, and what moves me. The album opens with a blast of energy that is the title track. This is the most purely bluegrass track on the album. It’s a fast song, with a galloping banjo part propelling it, and with those high tenor harmonies in the vocal. It serves as a proper introduction, in saying “Here is the basis of everything that will come after”. There are three instrumentals on the album, and they are the other key to where this music is coming from. Back in the 1970s, David Grisman started playing jazzy music on bluegrass instruments with his quintet. There have been many musicians whose work displays Grisman’s influence, most notably Bela Fleck. 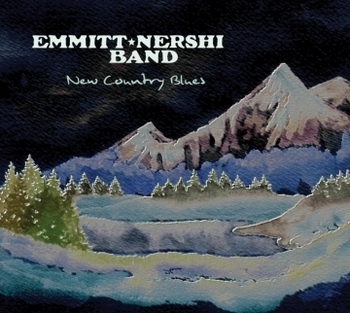 Emmitt and Nershi’s take on this is subtle when it comes to the jazz elements, but the improvisational freedom is there. And so are some harmonies that are definitely not bluegrass. But what I find particularly interesting is the way Emmitt and Nershi are able to combine these elements in the same song. Restless Wind opens like one of the instrumentals, with a jazzy feel and genre stretching harmonies; but soon the vocals come in, and there are those wonderful high vocal harmonies straight from the bluegrass world. These two elements are blended seamlessly, and never sound forced. There are instrumental sections that return to that jazzier feel, but the song never loses its way. And that, of course is the joy of jam-band music. There is a musical daredevil act going on, and the listener waits for it all to fall apart. In the hands of Emmitt and Nershi, it never does, and the results are breathtaking. And this is true of the entire album. Of the eleven tunes on the album, six clock at more than 5:15. That’s a lot of long songs, which can be dull for the listener. But not here. The longer pieces have a dramatic structure to them, with the emotions cresting and ebbing, sometimes more than once in a single song. This can happen in the vocals or the instrumental sections. I must point some particularly fine instrumental work. Jason Carter from the Del McCoury Band plays fiddle on most tracks; he has a rich creamy tone that you rarely hear outside of classical music, and it is a real treat here. And Andy Thorn plays some banjo lines that sound like a beautiful necklace of glowing pebbles; each note is precious by itself, but the combination is greater still. The lyrics are the weakest part of a strong effort They are not bad, but they don’t display the imagination of the music supporting them. Restless Wind has a spiritual element that I find interesting, but, too often, the words feel like Emmitt and Nershi’s idea of what bluegrass words should say. Next time, I’d like to hear what Emmitt and Nershi have to say. Costa Rica ends the album, and it is an exception to most of what I have said. Here, the lead vocal is still appealing, but sung in a lower part of the singer’s range. The bluegrass element is almost entirely gone from the music, replaced by a country/ tropical vibe of the sort that Jimmy Buffet does so well. The lyrics do a wonderful job of evoking the serenity of the scene. And Drew Emmitt delivers a mandolin part that really puts this one over. So overall, this is an album that is a joy to listen to. The Emmitt Nershi Band is tight and energetic, with enough dynamic and stylistic range to keep the album from having any lulls. I hope they continue this exploration. I would very much like to hear where it takes them next. I am sure that the vast majority of my readers know this song. I thought I did. Walk Away Renee is a late 60s pop classic, in the same vein as California Dreamin’. And that is not a random comparison; The Left Banke, (not much more than the answer to a trivia question these days), were indeed inspired in part by the famous Mamas and the Papas hit. I had always regarded both as disposable pop from a period that produced much better music. But the two versions presented here made me reevaluate Walk Away Renee. The best covers can do that. Stripping away the dated production of the original, these spare arrangements laid bare the ache of the lyric. “New Age music” has always been a double-edged sword of a marketing label. In the 1980s, when Peppino D’Agostino came on the scene, it was a useful way to promote sales for artists whose music was mostly acoustic, and whose influences encompassed world music, folk, jazz, and pop, while not fitting neatly into any one of these. But the “New Age” label quickly came to mean that these varying influences had been blended together into a mush and bleached of all emotion. Peppino D’Agostino is an acoustic guitar player whose music combines many of these influences, but the result is innovative and heartfelt. It is no accident that D’Agostino was able to get David Wilcox to sing on his version of Walk Away Renee. Guitar and voice dominate the arrangement. What other instruments there are add color from far in the background of the mix. This puts the lyrics at center stage. The performances of D’Agostino and Wilcox have a quiet intensity the brings out the loneliness and yearning of the song. In her recent work, Linda Ronstadt has tried on various musical styles. Starting with her orchestral albums with Nelson Riddle, and continuing into explorations of Mexican music and acoustic country, Ronstadt has shown remarkable stylistic range, while approaching each project with sincerity and dedication. For the album Adieu False Heart, Ronstadt teamed with Ann Savoy for a set of Cajun treatments of songs from various genres. The term quiet intensity applies to their version of Walk Away Renee. They cannot intertwine guitar and voice as D’Agostino and Wilcox do, but their vocal harmonies, as well as some delicious embellishments from fiddle and accordion, emphasize the beauty of the melody as well as the emotion of the piece. 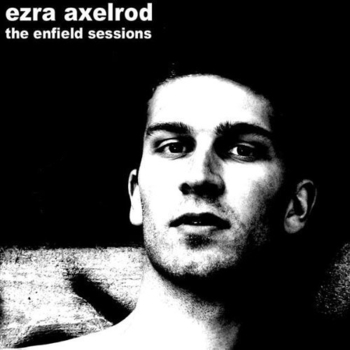 Note: Patria and The Enfield Sessions are two EPs by Ezra Axelrod. Both are available as free downloads, but I have given a purchase link for The Enfield Sessions, because I believe that Axelrod deserves to be paid for what he does. Patria is only available as a download at the time of this writing. Axelrod sent me both EPs burned together on one disc, so I am reviewing them as a single album. Ezra Axelrod delivers a set, (actually two sets, but they go together pretty well), of songs for piano and voice. On most tracks, he adds stand-up bass and drums. There are some overdubbed vocals, which allow him to add chorus vocals. And that’s it. This results in songs that are subtle but intense. My regular readers know of my bias against oversinging, and that would be a disaster here, in such a spare setting. And given that Axelrod has studied opera performance, he certainly could do it. But Axelrod knows that this is his setting, and he knows how to make this work brilliantly. The piano is featured, with the bass adding depth and occasional counter melodies. The drums are mostly played with brushes, providing a subtle pulse. Axelrod’s voice is a smooth baritone with a bit of a catch to it, that he controls perfectly. He also uses a light falsetto here and there. Axelrod puts over quite a range of emotions with his singing. Signal presents a man who has been injured and is drifting into shock; Axelrod’s singing makes this believable. Reinvention presents a man who is on the outs with his lover, but in the course of the song, they are reconciled and there is the promise of a new beginning; you can hear all of the intermediate shifts in emotion in Axelrod’s performance. Elsewhere. Axelrod conveys irony, resignation, anxiety, and even bittersweet nostalgia. Axelrod conceived the three songs that make up Patria as a song cycle. The setting is some unnamed Latin American country. The songs are about the human cost of war. They are not political. There is no mention of what the war is about. Rather, Axelrod is interested in what the war does to those who become caught up in it. There are details missing, which make these songs impressions rather than stories. A man who has left his own country to join “the cause” reaffirms his loyalty to that cause after his capture; the people of his native land are now the enemy. Two brothers, one seriously wounded, emerge from a shelter into a city that has been bombed out of existence, and wonder if their signal for help has been heard. And a group of men find themselves on the losing side of a revolution fought to undo the revolution that was won by their fathers. These are big issues, but Axelrod narrows them down to the affects on individuals. He avoids the trap of sermonizing about the evils of war; he simply presents his characters and lets them speak. The Enfield Sessions is a set of five songs with no overarching theme. But some of the songs echo each other in theme, and even have thematic connections to the Patria songs. People leave their familiar settings. We saw this in Patria, with the man who goes to join the cause. Now, in Father, we meet a son whose been trying to reunite with his father; the father seems to be a man who can never stay in one place for very long. And This Town gives us a man whose parents have been taken away after the father committed a murder; the son must leave the town himself, or live with the damage to his reputation. And just as Patria suggests broken dreams, Southern Way tells the tale of a man who sought fame in Hollywood, but instead found a life that was all too real. But, even taking Patria and The Enfield Sessions as one album, Reinvention is the closest thing to a story. Here, Axelrod describes a pair of lovers who are both writers; they read each other, and their relationship deepens. But there comes a point where they seem to break it off; when they reconcile, their relationship seems to have gained a new strength. So, Axelrod explores some emotional territory you don’t usually see covered. There are some great images here, but also there are songs where I supplied my own images, based on what I was hearing. That hardly ever happens to me, so it is very much to Axelrod’s credit. This music sounds fine, but I am curious to know what Axelrod would do with fuller arrangements if he could afford to hire the musicians. Whether or not he chooses to ever to do that however, I will be listening to hear what he does next. As I write this, the signs are everywhere that summer is over. The calendar says there are still a few days left, but the pools and beaches have closed and the children are back in school. The first chill is in the air, and some of the Autumn colors have even started to appear on the trees. Emotionally, there is no better symbol for this than the day the circus leaves town. 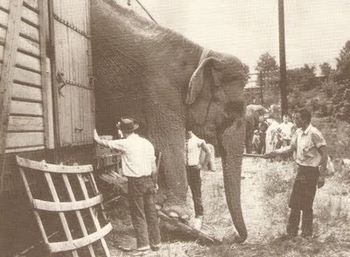 In the minds of songwriters, the circus exists as much as a myth and metaphor as a fact. There is a tawdriness about it, yes, but also a particular flavor of romanticism that is not found anywhere else. The freedom represented by the childhood dream of running away to join the circus is a powerful draw to many musicians. At the same time, however, many songwriters, as adults, have come to realize the dark side of this dream as well. 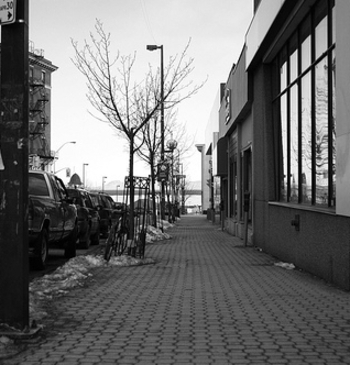 From the tension between these two sides of the dream, a storyline emerges. Joni Mitchell’s character in That Song About the Midway meets a man who embodies the dream of freedom. She describes him as “a devil wearing wings”. He takes lovers at will. Mitchell’s character pursues this man, literally, but also the dream he represents. But where the man finally must settle down and drop out of sight, Mitchell’s character is left, “midway down the midway, slowing down.” She is unable to awaken from this dream that no longer exists. For XTC, the circus is used as a metaphor for a very specific point in a relationship gone sour. The narrator has come to see himself as a circus clown, whose only purpose is to perform for the amusement of the woman he is involved with. Worse, there are now other “clowns” on the scene. Dear Madame Barnum is a breakup song; this is one “clown” who must take off his makeup and flee the circus in order to pursue his freedom. When I reviewed Suzy Ragsdale‘s EP Best Regards here, it was hard to choose a single song. I very nearly chose Two on a Tightrope. Here, Ragsdale gives us a man and a woman, coming from very different places, in love. The tension in their relationship is expressed through the metaphor tightrope walkers working without a net. This tension and its resolution is the most important thing to them, but to the spectators it is just one more thing to look at. In the end, the relationship does not survive. But Ragsdale is a generous writer. She could throw her characters off the tightrope in a spectacular fall. But instead, he flies away to other things. The female tightrope walkers fate is even more interesting; she weaves a net from the wire of the tightrope and rests there in relative safety, trying to make her peace with her lover’s departure. Finally, Eliza Carthy gives us Mr Magnifico. The circus connection here is tenuous. From the black and white photo in the CD booklet, we can see that Mr Magnifico’s curious name is a holdover from his days as a circus performer; he is dressed in this photo in what may well be the costume of a human cannonball. But, when we meet him in the song, the circus has left town without him some time ago. He is a man who, in small ways, seeks to relive his past glory every day. This suggested past in the circus is also a metaphor for the feelings of invincibility he had when he was eighteen. I was talking with some friends about how some people misinterpret lyrics to songs. Ironically, that is exactly what I’m about to do. Let me explain. My wife and I hear songs differently. I hear the arrangement and the music. I hear the quality of the voice. But, if I’m not working on a review, I might never make out the lyrics. My wife, on the other hand, hears the words first, then the melody. Sometimes, she will get as far as hearing the arrangement, but usually because I’ve pointed it out. I’ve mentioned this to friends, and they have had the same experience. So it may be an innate gender difference. So, when I first heard The Way, by Fastball, I responded to the beat and the guitar solos. I enjoyed the vocal with no awareness of the lyrics. And My wife’s response when she heard it took me by surprise. Before I go any further, It’s worth printing the lyrics in full. But where were they going without ever knowing the way? Where were they going without ever knowing the way? I had caught the line about “eternal summer slacking”, and I though this was an innocuous slacker anthem. But the line my wife latched onto was, “the children woke up, and they couldn’t find them”. She was offended that this couple could be so irresponsible as to abandon their children. And it ruined the song for her. By the time this happened, I had already put the song on a collection of favorites, so the collection still got played, despite my wife’s objections to one song. I must say, I was also uncomfortable with what had happened to this song. But I still wanted to hear the rest of the disc. So we were playing it one day with my fourteen year old daughter in the car. She also hears lyrics first, but she latched on to something else. The chorus opens with, “Anyone could see the road that they walk on is paved in gold/ And its always summer, they’ll never get cold/ They’ll never get hungry/ They’ll never get old and gray...”. My daughter remarked that this sounded like a description of heaven. And I suddenly had to challenge an assumption my wife and I had made about the main characters. Why did we assume that they were twenty-somethings, and the parents of young children? What if they were much older, and the “children” were adults? This sort of living arrangement suggests that the parents are not able to take care of themselves. So maybe the main characters were losing their faculties, and require constant supervision. In this situation, it sometimes happens that the affected person remembers their youth, but not the present. Sometimes they wander off, and try to go “home”. So now the song goes like this. 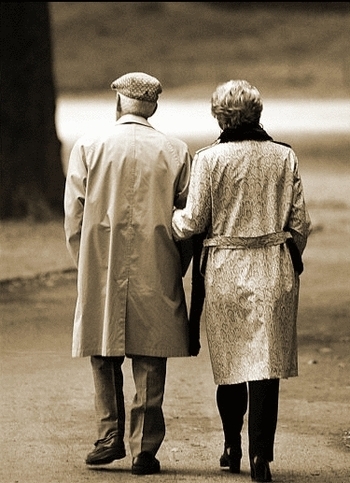 An elderly couple wake up one day, and remember an incident from their shared youth. They mutually decide to go off in search of this younger time, a time before they had any cares in the world. It’s not clear whether they are physically ever found and brought back to their children. But, in their minds, they remain in this youthful mindset for the rest of their days. In a bizarre way, it’s a happy ending. I find it highly likely that the guys in Fastball never intended this. That said, if anyone knows what they may have said about The Way, please share it in the comments. In my wildest dreams, one of the writers of the song would come by, and leave a comment as well. Regardless, I find this interpretation valid for me personally. I imagine a flat dry expanse somewhere in Texas, or maybe Arizona. The sun beats down mercilessly. There is nothing to hold back the wind that makes the dust dance through the scene. Part of the scene is a road, almost invisible under a thin layer of dust. Maybe there is one lonely structure in this landscape, a place to take temporary refuge from the road, a place where there is a worn but friendly face to greet those who are inevitably on their way somewhere else. There is loneliness, a hint of desperation, a sense that any joy will be short lived. This place sounds like the music on Happy Homestead by the Carnivaleros. Musically, the wind is in leader Gary Mackender’s accordion lines, heard on almost every track. The emotions this place evokes are found in Mackender’s lyrics. His singing is a sort of resigned monotone, but it carries more emotion than I would expect. It is a musical voice, but the expressiveness is subtle, almost easy to miss. But the effect grows on you as you listen. Still, there are times when a different voice is needed. Mackender pegs guitarist Danny Krieger to sing Dashboard Jesus in a gruff tone of weary nostalgia. Krieger also delivers Dyin’s Gonna Be the Death of Me with a hint of rebelliousness mixed with resignation. For Alejandro, Mackender asks Catherine Zavala to express the fear that a Mexican wife feels as her husband attempts the dangerous journey to the United States. And the album’s most haunted song is The Wooden Leg; here, guest Kelley Hunt has written music to Mackender’s lyric, and she sings and plays piano, while Mackender adds subtle touches on accordion. In addition to Mackender’s accordion, the instruments include drums, bass, and organ on some tracks. Sometimes, all of these are also played by Mackender; at other times, by the other members of the band. There are also guitar and background vocals on most tracks. Some tracks also have saxophone, and a few are colored with the wonderful trumpet playing of Dante Rosano. Rosano’s sound is somewhere between mariachi and spaghetti western, and is perfect for this material. This all adds up to an album that can sound like the Mexican accented rock of Los Lobos, or at other times like Calexico, but more often like something of its own. That border accordion is a key element to this sound. All of this serves a set of lyrics which express doubt about the world, or about relationships. Black Cloud Over Oracle seems to me to be the thematic center of the album. Here, a peaceful gathering of young and old is disrupted by the arrival of the local police, who are determined to break up the gathering by force if necessary. There is no apparent reason for this. The song is based on an actual incident that occurred at a music and arts festival called GLOW, in Oracle AZ. The Carnivaleros had just taken the stage when the officers arrived. It is clear from Mackender’s account of the incident on the band’s website that he never learned of any reason for the actions of the police. At any rate, the song gives us an idyllic scene which cannot last. Soon enough, chaos reigns. Dyin’s Gonna Be the Death of Me takes a dim view of health fads; here again, the only assurance is that we all eventually die. The song Happy Homestead is a tongue in cheek account of an attempt to drop out of society entirely, by turning off the electricity and living only off what the land provides; Mackender concludes that this lifestyle choice means shutting out all of the people who ever meant anything to you. Occasionally, there are glimmers of hope. Sally and John presents a man who watched as a girl he was interested in chased another man who never loved her; now she is on her own again, and maybe she would welcome his friendship. Mackender does not give a happy ending here, but the door is open at the end of the song. And despite the wife’s fears, we never learn the fate of Alejandro; maybe he makes it to the United States. Bird of Paradise is a piece of comic relief. 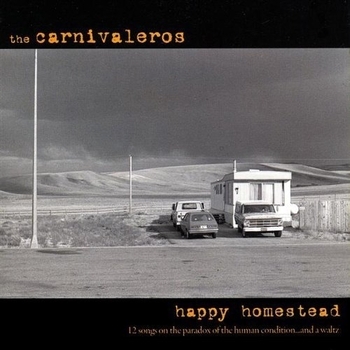 So Happy Homestead is a richly textured musical landscape, often upbeat in an ironic way. The words can be heavy going at times, but are very well expressed. And the performances suit the material perfectly. I hope Gary Mackender is in a happier mindset next time. But regardless, I hope he remembers me, so I can hear what The Carnivaleros do next. Many of my favorite musicians are restless artists. They are explorers, always looking for something to add to what they do. And many are eventually drawn to the music of Latin America. There is a powerful rhythm and a strength which calls out to them. Occasionally, this proves to be a bad fit. But more often, the results sound like a celebration. The music of Joe Jackson was originally identified as new wave. But he expanded from that base into jazz tinged pop for his album Body and Soul. And one of the flavors it comes in is Latin jazz. Cha Cha Loco is, as far as I know, Jackson’s only foray into Latin flavored music, but it’s a good one. Playing Latin flavored music appears, at least to some, to be a way to “get crazy”. Both Jackson’s and David Byrne’s song here are “loco”. Loco de Amor originally was written for the movie Something Wild. The song was not included on the vinyl release of Rei Momo, but was added to the CD release. For Rei Momo, Byrne assembled a band of the best Latin musicians he could find in New York. 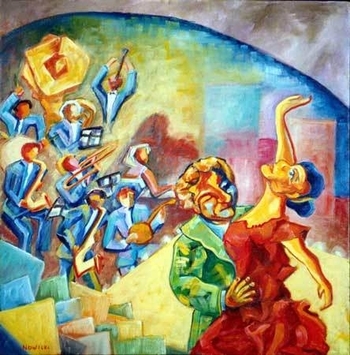 Each song on the album presents a different style of Latin music. The album as a whole was the last time Byrne explored this music. It was certainly a celebration; Rei Momo means “king of the carnival”. Kirsty MacColl was the daughter of English folk singer Ewan MacColl, and her early work was tinged with folk, often featuring acoustic guitar prominently in the mix. But, for her album Tropical Brainstorm, MacColl decided to take her music in a new direction. She traveled to Cuba, and learned everything she could about the native music. Then, she came home and applied what she had learned, to wonderful effect. Sadly, we will never know where she would have taken this. MacColl was killed in a boating accident shortly after the release of Tropical Brainstorm. When The Mavericks originally came on the scene, the marketing hook focused on these two brothers from Cuba who could really play country. Their music was so good that it quickly became unnecessary to mention their Cuban roots. But, when Raul Malo made his first solo album, he wanted to reconnect with the music he grew up with. The results were both heartfelt and exciting. His subsequent solo work, as far as I know, has not gone any further with this. If anyone knows of any more of this wonderful music that Malo has done, let me know in the comments. Of all the songs in this post, the Spanish accent in Jockey Full of Bourbon is the most subtle. But Tom Waits’ music, especially from early in his career, demonstrates a vast knowledge of jazz. And that would certainly include Latin jazz. The guys in Los Lobos could certainly hear the Spanish accent in this song; their cover makes it explicit. Usually, the For a Song feature starts with a song I want to share. I decide what I want to say. Then, and only then, I hunt down the appropriate picture. But I see the logic. Disney hopes to add products to their mix with a proven appeal to boys. 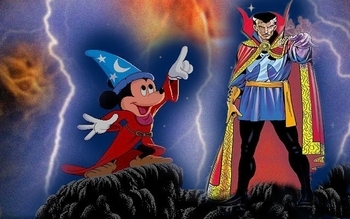 Marvel hopes to apply Disney’s marketing magic, to maximize their properties in way that Marvel has found impossible on their own. And I hope it works. But I am concerned. Thinking about all this, an image came into my mind. I have no computer graphics skills whatsoever. But, I am blessed with talented friends. My friend Bert created the image you see above, and I cannot thank him enough. So now I had a picture. I just needed a song. Not how I usually work, but there it was. It needed the word magic in the title. And that was all I knew. Luckily, I thought of Every Little Thing She Does is Magic. There are an amazing number of bad songs with magic in the title, but this certainly is not one of them. Most of the work of the Police has a very specific quality to it. Part of it is their unique approach to reggae, but it also involves a feel that is even found in their non-reggae numbers. It follows naturally from the emotional tug-of-war in Sting’s lyrics. Dark emotions like loneliness, fear, or shame, vie with happiness, and it is not always clear which emotion wins. In Every Little Thing... it is clear. The protagonist is afraid of this woman who he finds to be perfect, but the music feels like he overcomes his fear, and ends up joyous. The only other clue is the last line of the chorus, “Now I know my love for goes on”. So here the darkness seems to clear, if only by implication. This ceases to be true in a cover version if the music is more subdued. But, as recorded by The Police, the darkness breaks, and the song stands as a perfect pop song. It is quite possible that you will see other Police songs featured here at some point. But this one stands out for me. And perfectly represents my balance of hopes and fears for the Disney-Marvel merger. Mollie O’Brien is the sister of Tim O’Brien, whose wonderful fiddle playing we heard with my review of Rachel Harrington’s latest album. Mollie and Tim performed as a duo for many years, and made several albums together, before Mollie went solo. Rich Moore is something of a secret. While Mollie O’Brien toured and built her career, husband Moore stayed home and raised the children. So here are Mollie O’Brien and Rich Moore performing as a duo live, just voice and acoustic guitar. This might sound like a vanity project. One could easily turn away, assuming that, if Moore had any talent, you would have heard of him before now. Don’t make that mistake. With such a spare arrangement, there is no place for either the singer or the guitarist to hide, but none is needed. This album is actually my introduction to the singing of Mollie O’Brien. I should never have waited so long. O’Brien is a wonderful singer, who is particularly fine with the blues. She can sigh and moan with the best of them, using quiet voicings to convey intensity. But she can also belt out a blues shouter like nobody’s business. She can sometimes combine all of this in a single song. She brings out all of the emotion in a song, without ever going too far. Each song gets just what it needs. Some of her vocal performances here surpass the originals, which is the highest complement I can pay to an album of all covers. The playing of Rich Moore is a major discovery. He uses a variety of blues styles on an album of ten songs. He supports O’Brien’s vocals with a great sense of rhythm, and he can vary the backing within a song, to enhance the mood shifts in O’Brien’s singing. When he steps out for solos, Moore stays within the context of the song. His solos impress, but they are not showboating. Moore builds his solos on single note runs, with occasional use of two strings at a time, for flavor. Everything else drops out, but he never loses the beat. Then, as he winds up each solo, Moore goes right back to the chording he was using before, and he settles right back into the groove without even a stutter. 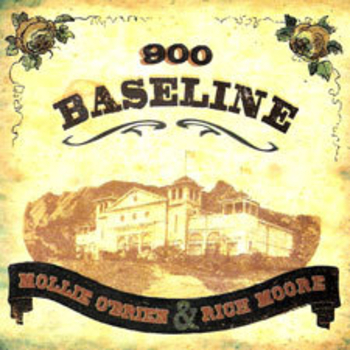 900 Baseline is not an album of blues classics. O’Brien and Moore do cover two songs by Memphis Minnie, but they also find blues in the rhythm and blues of Percy Mayfield, in the work of A P Carter of the Carter family, and in a song by Malvina Reynolds. Reynolds’ No Hole in My Head is a standout track, a particularly emotional work on an album full of emotion. And I am very impressed with the lead track, Looking For Trouble. Steve Goodman is thought of as a humorous songwriter and performer, who also could work wonders with a sensitive folk song like TheDutchman. Fewer people know that Goodman wrote songs that showed his great love of the blues. Goodman’s delivery was such that he could never present himself as a blues singer. So it takes a performance by O’Brien and Moore to show just how great a blues song Looking For Trouble really is. O’Brien and Moore also want us to know that they can do more than just blues. Lark in the Morning is rendered as the kind of folk music that Joan Baez did early in her career. This is the only song Moore sings on, doing background vocals. Now at Last is a more dramatic type of folk ballad. And the album closes with Somebody Else’s Fire. This is an old Janie Fricke tune, here given an 80’s rock treatment. All of this works just fine, demonstrates O’Brien and Moore’s versatility, and avoids breaking the mood of the album as a whole. So this album is a new favorite of mine. I have just one complaint. The album has ten songs, and clocks at just under 35 minutes. It is too short! I was definitely left wanting more. 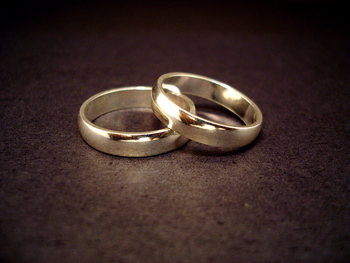 Marriage was, for me the culmination of a process. My wife and I began as you and I, and became we. At some point, it stopped mattering who paid for what. We stopped taking turns deciding what to do when we were together, and began to discuss and come to an agreement. And, as the relationship deepened, we began to share music with each other, until it became our music collection. Even so, there are, to this day artists who are my artists, and those who are hers. We both enjoy listening to them, but one of us more so than the other. And there artists who have become favorites of mine, but who I can definitely thank my wife for bringing to the relationship. Like everyone I knew at the time, I had heard the song Aqualung. But that was as far as my knowledge of Jethro Tull went. That was not enough to make a connection to the British folk-rock of Fairport Convention and Steeleye Span. But that connection is real. Some of the same musicians who drifted into the lineups of Fairport and Steeleye later joined Ian Anderson’s crew. But it was my wife who introduced me to the Tull albums Minstrel in the Gallery, and especially, Songs From the Wood. And that’s how I made the connection. Billy Joel was a little different for me. I knew his music pretty well, so I thought, before my wife and I ever met. How could I not, being in high school in the mid-seventies? But my wife’s love of his music made me reassess my own feelings about him. I had regarded him as pleasant pop, but my wife taught me to really appreciate his song writing. We used to listen to the radio a lot in the car. There is a very good public radio station in our range, that has introduced us to many fine artists. Since my wife spends more time in the car than I do, she often learns of an artist this way before I do. Dar Williams was one of these. Williams’ duet partner here is Joan Baez. We both knew about Baez before we ever met. In time, we gave in and joined the CD generation. Later, we started burning our own discs from mp3s. So we don’t listen to the radio as much any more. Tori Amos was another artist who my wife heard on the radio and brought to my attention. But, this time there was a twist. Crucify comes from Amos’ debut album, in 1992. The album had a great sound which my wife really liked. But, in subsequent albums, Amos’ took her sound in a direction my wife didn’t care for nearly as much as I did. So Amos began as one of my wife’s artists, and became one of mine. I was the one who brought the music of Richard Thompson to our relationship. But my wife took to him right away, and I have come to rely on my wife to let me know what Thompson is up to.